Florida Alimony Lawyer | Mindi Lasley, P.A. Florida Alimony Lawyer | Mindi Lasley, P.A. Although alimony has changed significantly in Florida in recent years, there are still several types of alimony available in certain situations. Here’s what you need to know about alimony and how you can learn more about your options. This type of alimony is one of the most commonly awarded types of alimony in Florida. It is awarded for a short amount of time only, and is designed to help the lesser earning spouse transition out of married life until they are able to become financially independent. Similar to bridge-the-gap alimony, this type of alimony is designed to help rehabilitate the lesser earning spouse. To receive it, a spouse must illustrate to the court how he or she plans to transition into a financially independent life, be it through seeking higher education or starting a career, etc. If a spouse fails to adhere to the plan to become financially independent, alimony may be discontinued by the court. This type of alimony involves payments that continue for a set amount of time, typically never longer than the length of the marriage. How much alimony is paid each month may change depending on circumstances. For example, if the payor loses his or her job, durational alimony may be paused until they are able to pay again. This type of alimony is paid out as a lump sum at the end of the divorce process, or in installments; however, it cannot be stopped when the receiving spouse remarries or the paying spouse passes away. Permanent alimony is rarely awarded in Florida, but in some special cases it can be. This type of alimony is designed to continue indefinitely, but will be terminated if the receiving spouse remarries or enters into a supportive relationship, or the paying spouse dies. In some cases, this type of alimony may also be terminated upon the retirement of the paying spouse. 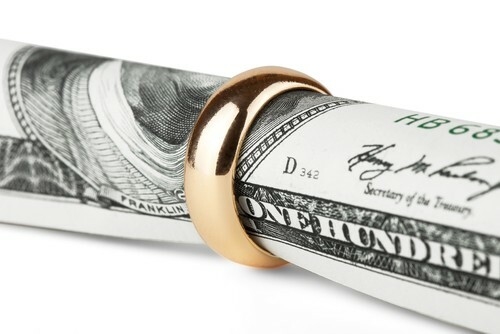 Florida courts are less willing to award alimony now than ever. It must be clearly shown that the receiving spouse is in true need of alimony in order to win such a case. Mindi Lasley, P.A. has worked with many clients on both sides of alimony cases and can help you navigate this difficult area of family law. Contact Attorney Lasley today for a consultation to discuss your unique legal needs by calling (813) 873-9047.